India Women's Team are gearing up to taking on Afghanistan at the Kanchenjunga Stadium in Siliguri at 06:30 PM tomorrow (December 27, 2016). 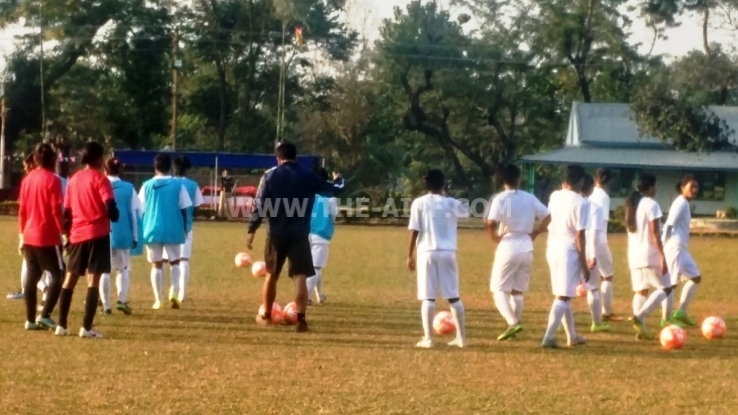 "We are well prepared and girls are raring to give it a go tomorrow", Sajid Dar commented when speaking to www.the-aiff.com. Meanwhile, a good number of Afghani girls ply their trade in the Europe, especially Denmark, Germany, Switzerland and the USA and tomorrow's match will surely be a fierce one. "I have heard about it and definitely, this Afghanistan outfit will be a hard nut to crack. We have our own strategies and we'll try to execute them on the field." Meanwhile, Sajid Dar informed that the squad is completely fit. "The girls are in proper shape and all of them deserve to start tomorrow. Now, they need to grab the opportunity with both hands and prove their worth on the field", Sajid stated. Incidentally, Afghanistan are not a part of the SAFF zone anymore as they joined the Central Asian Zone earlier this year. They were invited to compete and eventually, they were clubbed with host India and Bangladesh in group B.